We know that quite a few of you have been searching for self-catering properties where you can take more than two furry friends and so we have put together this blog post to offer you some holiday inspiration. 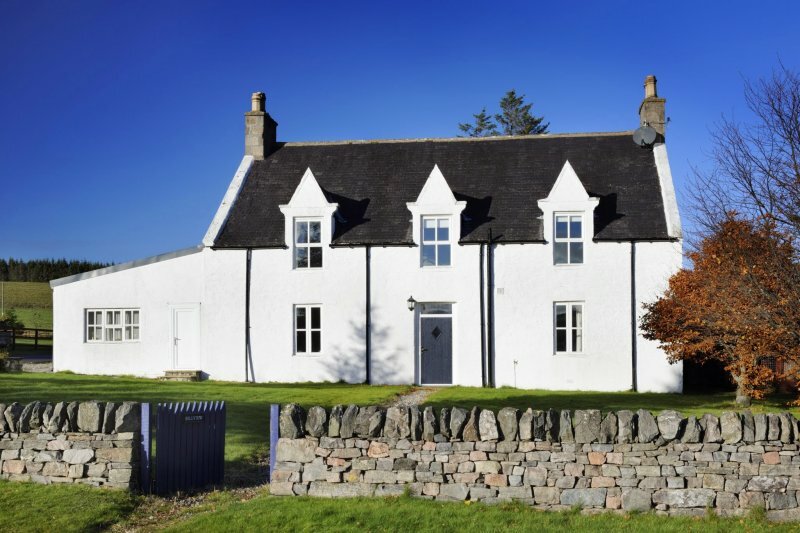 Contact individual owners for information on any property restrictions, charges or rules (with EmbraceScotland you book direct with the owner and we don’t charge any fees or commission). All of these properties are part of the Paws for a Break Welcome Charter, so you can rest assured that they have all the facilities that pet owners and their four-legged companions need for an enjoyable and comfortable holiday. 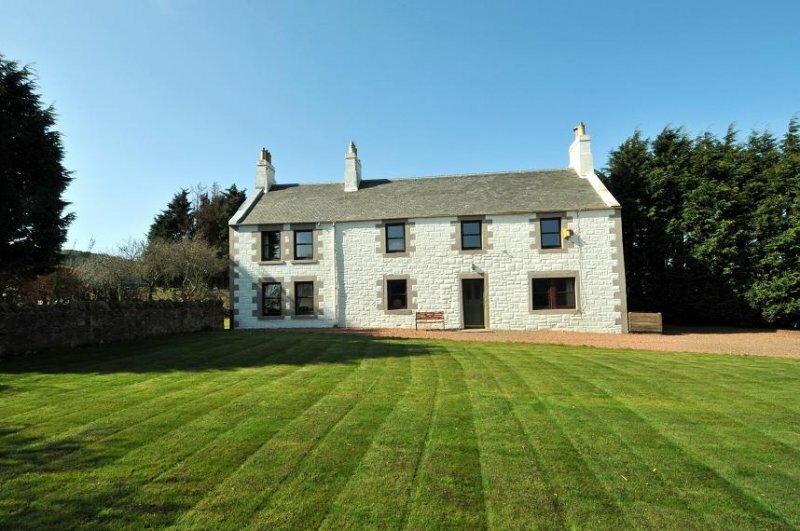 Take a look at these 10 self-catering holiday rentals in Scotland that welcome 3 or more dogs. 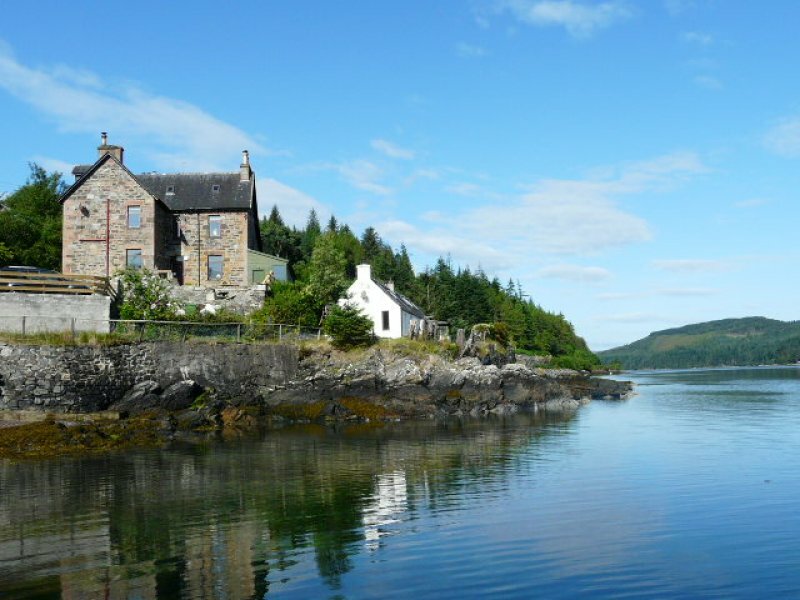 With beautiful lochside views of Loch Carron in the Highlands, this large stone built holiday house comfortably sleeps up to 17 people in 8 bedrooms and welcomes 3 or more dogs. With lots of space and all the facilities you need, plus a cosy wood-burning stove, Stationmaster’s Lodge is a great base for exploring the scenic west coast, Plockton and the nearby Isle of Skye. 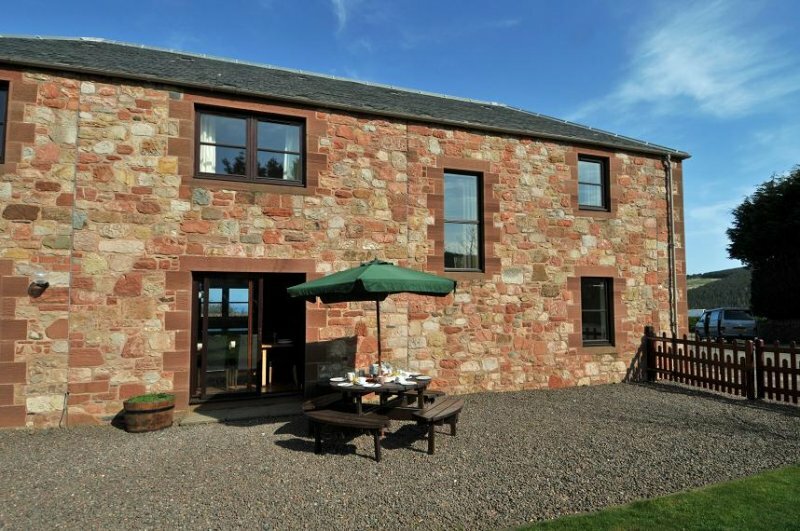 You can take 3 dogs to The Farmhouse, 10 miles from Dunbar on the east coast of the Scottish Borders and close to East Lothian (the owner will ask for the breed of your dogs when you book). An original farmhouse building, the holiday property sleeps 10 (and is ideal for large family holidays when booked with Red Gauntlet, see below). The Farmhouse has an open fire, large electric range cooker and a beautiful walled garden with a large grassy area, outdoor seating and a sheltered barbeque area. Red Gauntlet is located 50 minutes south of Edinburgh and is an ideal base for exploring East Lothian and the Scottish Borders. Sleeping 10 in comfort, the holiday home has an enclosed garden with a barbeque and picnic table, and you can enjoy sea views from this old farm steading location. You can bring 3 dogs on holiday here, again the owner will ask for the breed of your dogs upon booking. Situated in the Cairngorms National Park 4 miles from Loch Insh and 12 miles from Aviemore, Mountain View Lodge has almost 360 degree views of the surrounding glen and mountains, and a hot tub in which you can soak up the stunning scenery. Four dogs are welcomed at this property and it can sleep up to 10, but 6 adults would find it ideal. 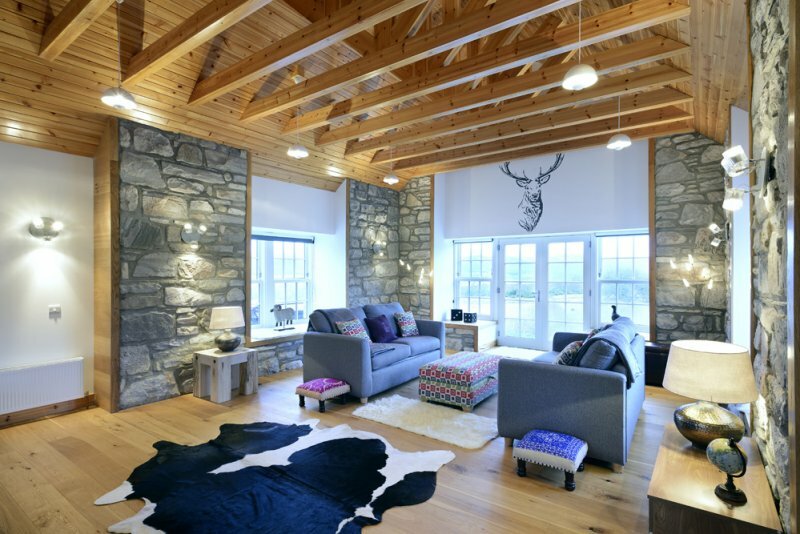 Located in the Highland village of Altandhu, 25 miles from Ullapool, this architect-designed holiday cottage is situated in its own hillside grounds with spectacular views of the Summer Isles. Windyhill Cottage sleeps 7 in comfort and luxury, and up to 4 dogs are welcome. There is a hot tub in the enclosed garden and you’ll find excellent walking and many sandy beaches nearby. 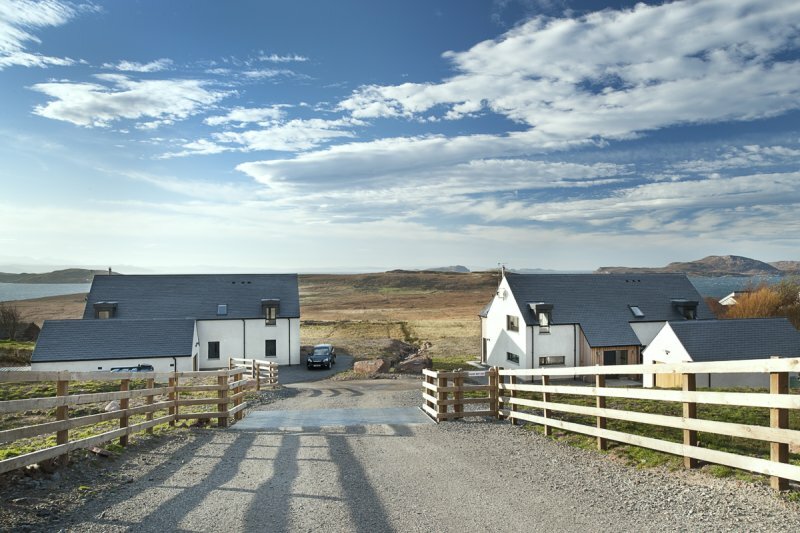 Locholly Lodge and Stac Polly Cottage are located in the North West Highlands, 25 miles from Ullapool. Both properties sleep 8 and welcome up to 4 dogs. You and your four-legged friends can enjoy miles of unspoilt countryside, beautiful beaches and stunning scenery from these holiday properties. Both the lodge and the cottage have hot tubs and all the facilities you need for a comfortable self-catering stay. 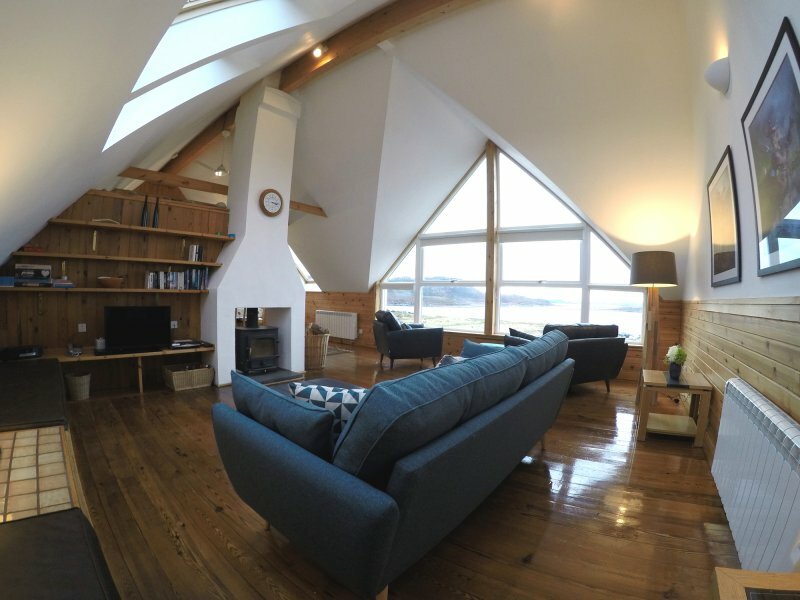 This beautiful architecturally designed property is located 3 miles from Kinguissie and a 10 minute drive from Aviemore in the scenic Cairngorms National Park. 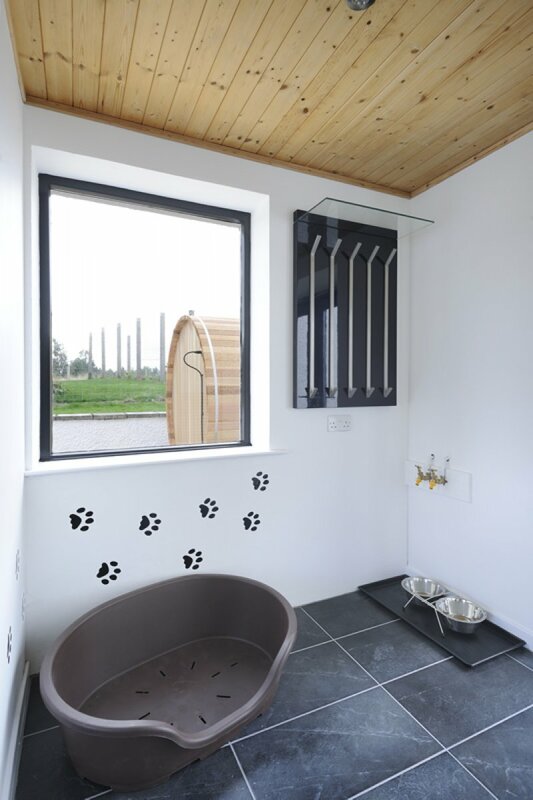 Up to 4 dogs are welcome at the property, and both dogs and owners will love the rural location of the lodge – you can step out of the front door and walk or cycle straight into forest. Kirkstone Lodge sleeps 10 and has a wood-burning stove, and a hot tub and sauna in the garden. Hillview Cottage is located next to the Glenlivet Whisky Distillery, 8 miles from Tomintoul in the Cairngorms Mountain Park. The cottage sleeps 14 and welcomes 4 dogs – ideal for large family get-togethers and holidays with friends. There is a hot tub outside so you can enjoy the Glenlivet scenery whatever the weather. 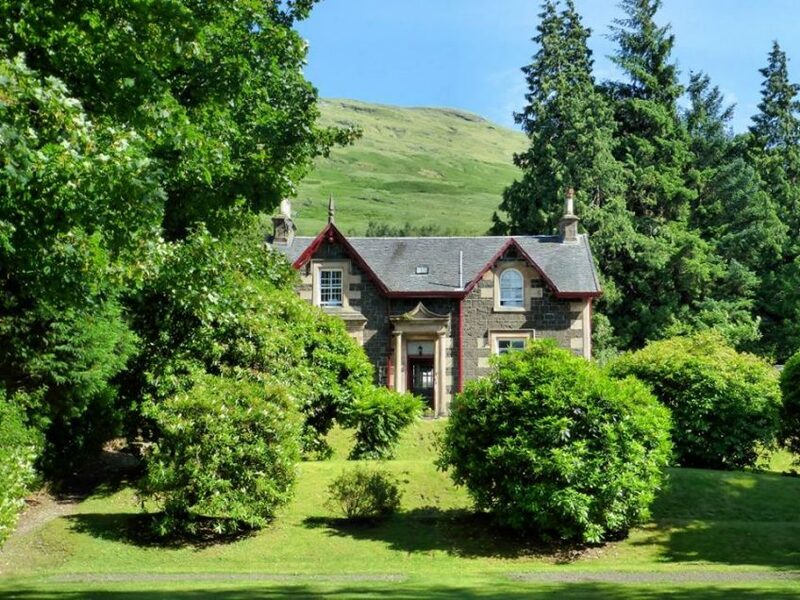 Overlooking Loch Long and the Arrochar Alps in the heart of the Loch Lomond and Trossachs National Park, Mansefield House is a four star self-catering holiday home that sleeps up to 12 and welcomes up to 4 dogs. This Grade B Victorian house is perfect for family gatherings and a base to enjoy a range of outdoor pursuits. 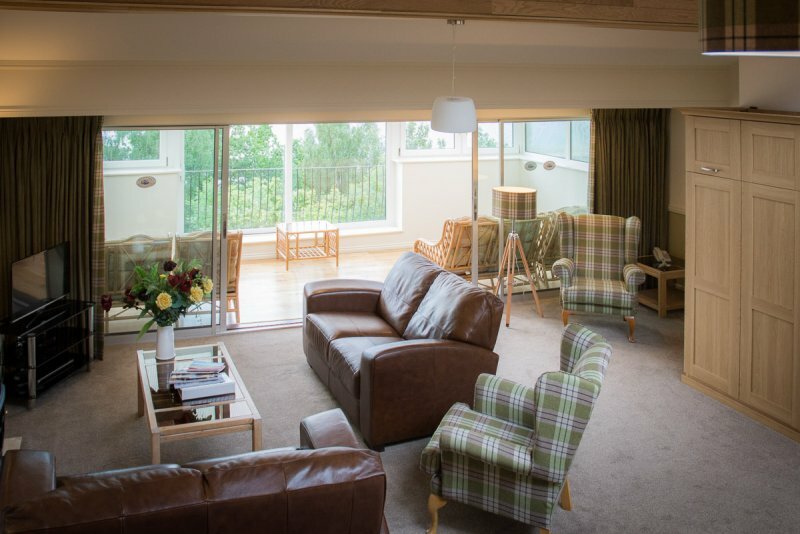 The Loch Rannoch Highland Club situated in Kinloch Rannoch in Perthshire has a number self-catering apartments and lodges that can accommodate between 2 and 8 guests. They are happy to take any amount of dogs on the condition that the dogs are not left alone in the lodges, that they are cleaned up after, that they don’t sleep on the beds and they are kept on leads on site. There is plenty of dog walking space around the resort, and, lots of scenic locations and walks to discover in the surrounding area. It is completely free to take dogs to the resort.